Haunted Pub Tour – meet your local guide inside Kells Irish Restaurant & Pub, located at 112 SW 2nd Ave, Portland, OR. **Check in with Kells staff at the welcome podium. Brewery Tour: Old Town District – meet your local guide inside Rock Bottom Restaurant & Brewing, located at 206 SW Morrison St, Portland, OR. **Check in with Rock Bottom staff at the welcome podium. ARE BEER SAMPLES INCLUDED IN THE PRICE OF THE TOUR? Yes! We have designed each tour to include samples of a variety of different style craft beer. We generally sample between 2 to 6 beers at each partnering establishment. Sample size is about 5 ounces. Every beer we taste is brewed right here in Portland! Our tours focus on sharing the vibrant beer culture here in Portland, Oregon. We definitely cater towards the beer drinker, but you do not have to be a beer drinker to enjoy the group experience or stories and history we share along the way. Our focus is you, and we’d like to provide an experience you will enjoy! Non-Alcoholic Option: If you do not wish to drink alcohol during the tour, then please select the “Non-Alcoholic Beverage Participants” option. We will provide a non-alcoholic beverage to this participant type at each location. Gluten-Free Options: Our tour prices include either beer samples or non-alcoholic beverage options. If you do not wish to participate in the beer sampling, but would still like to consume alcohol during the tour, then please select the full-price participant ticket. We will offer either cider or wine options at each location for this participant type. If you are consuming alcohol during the tour, then yes! We will be checking every guest’s identification at the start of each tour. You do not have to be 21 years old to come on our tour. Our partnering establishments all allow under 21 during the times we operate our tours. We offer a “Non-Alcoholic Beverage Participants” option for all our tours. We do recommend participants are over 16 years old. Tour content is catered towards 21+. Please call ahead if you have any questions. It depends! We never thought we’d say this for Portland, Oregon, but we may cancel in snow and icy conditions. Other than Snowpocalypse, our tours are a wonderful activity for a rainy day. It rains regularly here in Portland, Oregon, and we have designed our tours where guests will have plenty of opportunities to dry off and warm up with a beer inside our favorite pubs. **We do not provide umbrellas or rain attire at this time. Please dress appropriately and be prepared for weather! All our tours are on foot and cover less than 1 mile total. A little less than half of the tour duration takes place outside, and you will have many opportunities to sit down and relax along the way. We start and end our tours seated inside our partnering pubs. In order to provide the best experience, we have a specific capacity for each of our tours. **Please book tickets in advance as we do fill up! Our guides work hard to ensure you have a unique and exceptional experience. If you have a great time on your tour, you are invited to let your guide know with a gratuity. It is never required, but cash tips are always appreciated! It’s a great way to recognize your guide for being awesome! DO YOU HOST PRIVATE GROUPS? Yes, absolutely! We recommend for groups of 8 or more. Advanced reservations are required! Please book in advance either online or call ahead. CAN I MAKE A RESERVATION FOR MORE THAN MYSELF? Yes! Please feel free to book yourself and/or a group.  Our guides are really into beer and Portland! We are local experts who love sharing knowledge and stories about beer, ghosts, history, and Portland. Don’t be afraid to ask us about our favorite things to do in the city we love. Email our team at info@beerquestpdx.com.